KEMPT, Sir JAMES, army officer and colonial administrator; b. c. 1765 in Edinburgh, son of Gavin Kempt and Miss Walker, the daughter of Alexander Walker of Edinburgh; d. unmarried 20 Dec. 1854 in London. Nothing is known of James Kempt’s early life, but in March 1783 he was commissioned as an ensign in the 101st Foot, becoming a lieutenant in August 1784. When the regiment was disbanded the following year, he was placed on half pay and remained so until 1794, when he was gazetted captain and then major in the newly raised 113th Foot. Following that regiment’s disbandment he served for a while as inspecting field officer of recruiting at Glasgow but was reduced to half pay in 1796. Three years later, as lieutenant-colonel unattached, he was appointed aide-de-camp to Sir Ralph Abercromby, then commanding the troops in North Britain (Scotland), whom he accompanied with expeditionary forces to Holland and subsequently to the Mediterranean. 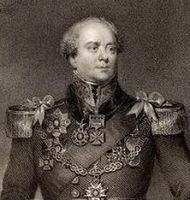 On Abercromby’s death in 1801 in Alexandria, Kempt was attached to the staff of Lord Hutchinson and was present throughout the Egyptian campaign. 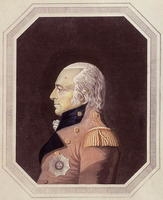 In 1803 he became aide-de-camp to General David Dundas, commander-in-chief of the Southern District in England, with headquarters at Chatham, and later that year he obtained the lieutenant-colonelcy of the 81st Foot, with which he went to the Mediterranean in 1805 under Sir James Henry Craig*. Between 1807 and 1811 Kempt was quartermaster general in British North America, and in 1809 he was promoted colonel. He was transferred in 1811 to the staff of the Duke of Wellington on the Iberian Peninsula, with the rank of major-general. Severely wounded in the assault on Badajoz, he fought with gallantry and distinction in the campaigns of 1813–14 in Spain and France. In the summer of 1814 he commanded one of the four brigades sent from Bordeaux to reinforce the British army in the Canadas; the forces under his command served in the Montreal District, on the Niagara frontier, and at Kingston. Recalled to Europe because of Napoleon’s flight from Elba, he commanded the 8th Brigade at the battle of Waterloo. For his distinguished service during the Napoleonic Wars Kempt received a succession of honours: the kcb and gcb in 1815, the gch in 1816, and a clutch of foreign decorations. From 1813 he had held the lieutenant governorship of the garrison at Fort William, Scotland, and in 1819 he was appointed lieutenant governor of Portsmouth, England. He was successively colonel of the 60th Foot (1813), the 3rd West India Regiment (1818), the 81st Foot (1819), and the 40th Foot (1829). 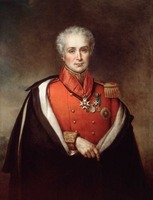 He was promoted lieutenant-general in 1825 and general in 1841. Like so many of Wellington’s officers, Kempt was to find employment after the Napoleonic Wars in the colonial service. In February 1819 he requested a military posting at Halifax, N.S., but that autumn he was offered the lieutenant governorship of Nova Scotia on the elevation of Lord Dalhousie [Ramsay*] to governor-in-chief of British North America. Unacquainted with Nova Scotia, its people, or its government, Kempt took advantage of his personal friendship with Dalhousie, with whom he had served in Spain, to write at once for information and advice. In June 1820, in a sketch of Nova Scotian politics that was to be followed by a decade of correspondence between the two men, Dalhousie warned Kempt of imminent political disharmony. His generally harmonious term in office had been marred during the last session of the assembly, when it had advanced claims to extend its rights, especially over the appropriation of crown revenues, at the expense of both royal prerogatives and the powers of the Council. Confronted with this challenge, Dalhousie’s relations with the speaker of the assembly, Simon Bradstreet Robie, had deteriorated to the point where he had been determined not to accept again as speaker “an ill tempered crab, deeply tinctured in Yankee principles.” In his journal, Dalhousie predicted that an unpleasant confrontation lay ahead “unless Sir Jas. Kempt begins with a firm hand, in the steps which I should have adopted had I remained here.” Kempt, somewhat overawed by the magnitude of the task he had undertaken, professedly set out with the intention of following in Dalhousie’s footsteps and taking his ideas and policies as the guide for his own conduct. Fortunately for the harmony of his administration in Nova Scotia, and later in Lower Canada, as well as for his peace of mind, he adopted a more conciliatory stance than that instinctively assumed by his prickly, Presbyterian mentor when challenged by ambitious, wily local politicians. Though their notions of colonial government were not dissimilar, the contrasting temperaments of the two men made all the difference in practice. Kempt soon reached the conclusion that the most effective and economical arrangement in these circumstances would be the unification of Dalhousie and King’s colleges, though he could not yet see how it might be accomplished. Insufficient funds existed to finance separate institutions and Kempt considered one college, in Halifax, adequate to supply all the wants of Nova Scotia for years to come. Although some supporters of King’s opposed its transfer to a populous metropolis, with its supposedly evil influences, by 1823 Inglis and the majority of the college’s governors had come to favour amalgamation as a way out of their parlous straits. Representatives of the two academies hammered out a plan of union in 1824 which promised to safeguard their respective interests. Administration and instruction were to be placed in Anglican hands, but religious tests would apply only to students in divinity. 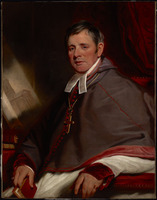 Kempt fully expected that so mutually acceptable and rational an arrangement would be endorsed by the colonial secretary and the archbishop of Canterbury, Charles Manners-Sutton. All parties, however, had not reckoned with the latter’s assertive high-churchmanship. His veto was decisive. Kempt could do nothing, even by his presence in London, to temper “the abominable obstinacy or rather the bigotry of the Archbishop of Canterbury” or to convert Bathurst to a more sympathetic point of view. 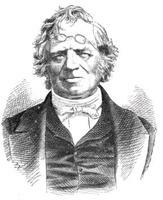 The failure of union, Kempt complained to Dalhousie in July 1825, “will be a great triumph to MacCulloch and his Gang,” and it perpetuated rival denominational colleges in Nova Scotia at the expense of public education. Between May 1824 and August 1825 Kempt was on leave of absence in England, attending to private affairs. By the time of his return to Nova Scotia, the British government had decided, against his cautionary advice, to ask the colonial legislatures in North America to vote a civil list covering the salaries of the leading officials for a period of years. In common with his councillors and the supporters of executive authority, Kempt doubted the wisdom of raising the highly contentious issue of financial appropriation. If the assembly’s powers were thus increased and control over crown revenues surrendered in exchange for a civil list, the lieutenant governor and civil officers would become, in effect, dependent on the assembly for their salaries. The Colonial Office, Kempt predicted, would then experience ten times as much trouble in securing annual votes of supply and would excite in Nova Scotia disputes similar to those which were agitating the Canadas under Dalhousie’s administration. At the same time, if the proposal was to be made at all, he maintained that it should be done only under circumstances which would ensure its favourable reception. In the session of 1826 members of the Nova Scotia assembly would be preoccupied with the impending general election and, as a result, would not treat such a controversial matter on its merits. With this in mind, Kempt did no more than allude briefly to the embarrassing subject in his speech opening the legislature in February 1826. “I slipt it in, in as quiet a way as I could,” he informed Dalhousie. It was left to his successors to grapple with this uncomfortable issue. As further justification of his cautious approach on financial matters, Kempt counselled delay until recent changes in imperial trade laws had produced their anticipated benefits for Nova Scotia’s commerce. The relaxation in 1825 of restrictions on the British colonies’ trade with the United States, Europe, and the West Indies was likely to give a positive fillip to Nova Scotia’s economy, which was only now emerging from a prolonged post-war depression. When this recovery occurred, the province’s assembly might be more receptive to granting a civil list. Certainly Kempt’s term as lieutenant governor saw unmistakable signs of reviving commercial activity. The Halifax Banking Company was launched in 1825 by Henry Hezekiah Cogswell and others, and construction began the following year on an ambitious and expensive project, the Shubenacadie Canal. Well might Kempt draw satisfaction from the growing mood of optimism. 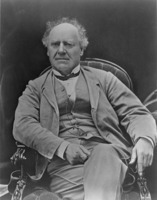 His time in Nova Scotia was an era of good feelings before the agitation over political reform began in the 1830s under Joseph Howe*. Kempt himself was universally liked and respected, being a man, Howe noted approvingly, who “had a passion for road making and pretty women.” One of his aides-de-camp later recalled that “society, by the force of his example, was the most agreeable thing imaginable,” but he was “perfectly astonished” by Kempt’s abilities as a colonial administrator. In the spring of 1828 Kempt was temporarily engaged in a special military assignment, the presidency of a commission of inquiry into the building of the Rideau Canal in Upper Canada. With good reason, the authorities in London had become deeply worried about the mounting expense of the venture, the open-ended contracts made by its chief engineer, Lieutenant-Colonel John By*, and the projected cost of completing what military men still regarded as a valuable contribution to the defence of British North America. From what Dalhousie told Kempt confidentially about the enterprise, Kempt judged that the British government had sanctioned construction precipitately, before reliable estimates of its total cost had been received. If this were so, there could be no justification for blaming By because his expenditure far exceeded the careless preliminary calculations. Nor could Kempt see the point of assembling an investigative commission when By was quite capable of sending home whatever explanations were required. He also hoped to be spared the long, tiresome journey. His health had not been good, and because lameness resulting from an old wound had confined him to Government House for most of the previous winter, he complained in June that “my legs are by no means in Campaigning Order.” But the commission was obliged to make a cursory inspection of the canal site that month. With as many as 17 hours a day spent traversing rough terrain between Bytown (Ottawa) and Kingston in sweltering temperatures, Kempt endured more misery and fatigue than during his soldiering days. “Thank God,” he exclaimed on reaching Kingston, “I am at last again in a Christian Country and out of the land of Swamps and Mosquitoes.” In its report the commission made a number of recommendations which signally failed to check escalating costs and the lavishness with which By continued to spend the British taxpayers’ money. This task completed, Kempt expected to return to Nova Scotia to serve out peacefully the remainder of his gubernatorial term. But events in Quebec and London were soon to bring about his translation to Lower Canada. Since 1825, foreseeing the likelihood that he might be designated Dalhousie’s successor as governor-in-chief, he had repeatedly told his superiors that he was comfortably placed in Halifax and had no desire at all to be moved to the Canadas. “I am grieved,” he typically remarked to Dalhousie in March 1827, “seriously grieved to hear you hint at the possibility of my soon filling your shoes in Canada. . . . I do assure you most solemnly that a removal to Canada is the last wish of my heart.” In the autumn of 1827 he wrote to the colonial secretary, William Huskisson, requesting that he might succeed to the chief military command in North America in the event of Dalhousie’s rumoured transfer to India. Kempt’s idea was to hold this senior military appointment in conjunction with the lieutenant governorship of Nova Scotia, by shifting the army’s headquarters from Quebec to Halifax. Objections from the military authorities in London ruled out this suggestion, but a rapid deterioration in Dalhousie’s relations with the Lower Canadian assembly prompted Huskisson in May 1828 to consider the scheme of making Kempt the new governor-in-chief. That spring the assembly’s weighty petitions of grievance arrived in Britain, embodying serious charges against Dalhousie’s administration. When these, along with an accumulation of protests from Upper Canadian reformers, were taken up in the House of Commons by critics of the ministry of the Duke of Wellington, Huskisson thought it politic to concede a select committee of parliament to inquire into the civil government of the Canadas. 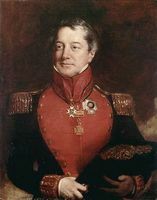 In early 1828 Dalhousie was appointed to command the British forces in India and Kempt was invited to restore harmony and tranquillity to the distraught colony, a task he would commence late that summer. Sir James did not greet the news of his appointment with enthusiasm. Although Dalhousie noted in his journal in July 1828, “I know well that he would have felt sore hit if any other had passed over him,” Kempt did not regard the offer as a coveted promotion. Despite its grander title, the governorship, he argued, was in practice of no greater importance or pecuniary value than a lieutenant governorship. Moreover, the severity of the North American climate had adversely affected his health and he had grown weary of being a colonial administrator. He was now “anxious to get a couple of years to myself to take a ramble on the Continent” and fulfil a long-standing ambition to visit Switzerland and Italy. He reluctantly accepted the appointment only out of a sense of duty and with the warning that nothing would induce him to stay for more than two years at Quebec. Certainly he was confronted in Lower Canada with a political crisis of formidable proportions and his predecessor gloomily forecast continued wrangling with an excitable, refractory legislature. For some years past the lower house had been trying to extend its political power at the expense of the executive by seeking to appropriate all revenues raised in the colony [see Denis-Benjamin Viger*]. Because the assembly would not agree to vote a permanent civil list, successive governors had fought not only to preserve the integrity of crown revenues but also to frame annual money bills in such a way that no tacit recognition was given to the assembly’s claim to these revenues. 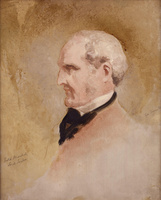 During Dalhousie’s absence on a visit to Britain in 1824–25, however, his deputy, Sir Francis Nathaniel Burton*, had accepted from the assembly a supply bill which merged crown and other revenues in one public fund and voted a lump sum to defray the expenses of government for a single year, thus vindicating a demand hitherto denied. The bill was endorsed by the Legislative Council and acquiesced in, after initial protests, by the authorities in London, and in 1826 a similar measure was presented to Dalhousie after his return. He rejected the bill as an infringement on crown rights. Having produced a deadlock on the matter of supplies, he illegally appropriated provincial funds to meet the deficit in the budget. His relations with the assembly were further soured by his vigorous, partisan interference in the election of 1827. Despite the constitutional impasse produced by Dalhousie, Kempt approached his task with a degree of equanimity, if not sanguine confidence, which his predecessor considered most unrealistic. Although Kempt’s “experience in these colonial Parliaments enables him to judge of the state of the quarrels here,” the earl confided to his journal in July 1828, “yet he does not see clearly the difference that exists between a well adapted system in Nova Scotia with reasonable and sensible, and honourable men to deal with, from the state of these matters in Canada which I would at once pronounce to be the very opposite.” Sir James hoped that fresh instructions from the Colonial Office would see him through his immediate difficulties and that the British parliament would soon provide a permanent settlement of the issues in dispute. These expectations were to be disappointed, and throughout his brief administration Kempt was left very much to his own devices. Periodic instructions from London were couched in vague, contradictory terms, which reflected the bewilderment and indecision of British ministers when they pondered Canadian affairs. William Huskisson did at least acknowledge that Dalhousie’s methods had been ill conceived and dangerous, and should not be emulated. “I am sure,” he had explained to Kempt in May 1828, “that you must have seen too much of mankind not to be aware, that Governments, having a popular representation, are not to be manoeuvred like a Battalion upon the Parade.” He stressed the imperative necessity of dealing with the Lower Canadian legislature in a conciliatory, tactful manner. Beyond that, Huskisson and his successor at the Colonial Office, Sir George Murray*, declined to send more explicit instructions until the select committee on Canada advised that ministry how best to resolve the present controversies. For this reason, too, in July Kempt was given a temporary commission as governor of Lower Canada and promised a new warrant and instructions as governor-in-chief once the committee had reported, a promise that was never fulfilled, much to his chagrin. In August 1828 he left Halifax, to assume his new duties following Dalhousie’s departure for England early the next month. Even after the select committee had completed its work later that summer, imperial policy continued to be paralysed by irresolution. Wellington’s cabinet was not favourably disposed towards a report which, inconveniently, upheld the complaints of the colonists on almost every point and made recommendations which, if implemented, would further undermine executive independence and transfer effective power to the assemblies, and thus, in the case of Lower Canada, to the Patriote party [see Louis-Joseph Papineau*]. At the same time, domestic political considerations precluded the ministers from openly repudiating the committee’s findings, which had been greeted with approval in the House of Commons. Preoccupied by Catholic emancipation and other issues in Britain, they prevaricated, leaving Kempt to wrestle with the most baffling and meaningless instructions any governor ever received. From the outset he saw his overriding task as that of keeping the peace by acting with prudence and forbearance. Learning from Dalhousie’s mistakes, he abstained from expressing personal opinions and listened patiently to all parties, including Papineau. Eventually Kempt acted according to his own best judgement because there were no officials on whom he felt he could safely rely in a colony rent by political squabbles and personal animosities. “I find to my surprise and regret,” he commented to Dalhousie in May 1829, “that scarcely any two Public Men entertain the same views and sentiments on any one Political Subject, or indeed on any matter of general interest!” In these circumstances, he had explained to Murray, “I am endeavouring to steer clear of all Parties, and to conciliate all . . . but no effectual reformation of any kind, I fear, can take place, until the Financial disputes are finally settled.” He looked anxiously to British ministers to provide that settlement. Until it occurred, temporary expedients and politic concessions were the order of the day in an attempt to keep the colony’s government on an even keel and to preserve tolerable relations between councils and assembly. This was “very uphill laborious work,” Kempt admitted to Dalhousie in February 1849, but “I have quite made up my mind not to Engage in a personal quarrel with either branch of the Legislature.” He was aided in this endeavour by the current mood of both houses. Many members of the English party, such as Chief Justice Jonathan Sewell* and Herman Witsius Ryland*, concluded from the Canada committee’s report that the unyielding conservatism traditionally evinced by the Legislative Council had fallen out of favour in England, and that prudential cooperation with the assembly was now necessary in order to maintain their influence. The assembly, too, was temporarily put into a more accommodating frame of mind by the unexpectedly favourable contents of the report and was prepared to work with a governor who commanded respect for his evident fair-mindedness. 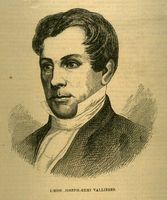 Fortified by this frank avowal, which Kempt was to cite when later accused of having disobeyed his instructions, the governor managed to secure a money bill from the assembly, the measure passing the Legislative Council through the extraordinary expedient of the chief justice, as speaker, exercising a double vote. Since the bill was similar in form to that of 1825, which the Colonial Office had deprecated, Kempt’s action created dismay in London. Tory ministers exchanged anxious communications and there was talk of disallowing the act, but eventually cooler counsel prevailed and, with consolatory expressions of regret which fell short of outright censure, Kempt was authorized to accept a similar appropriation bill in 1830. In the short term the proceedings of 1829 and 1830 enabled Kempt to establish harmonious relations with the legislature in matters of finance. But acceptance of the assembly’s view on the form that the appropriation bill should take merely encouraged that body to press a substantive and more contentious claim, control of the detailed expenditure of all crown revenues. This financial arrangement was not the only unpleasant surprise that Kempt conveyed to his superiors. In 1829 the assembly unexpectedly decided to reform the inequalities in the system of representation in Lower Canada by redistributing seats in an enlarged house on the basis of population. Although the protests of English-speaking assemblymen went unheeded, the Legislative Council revised the bill on a combined principle of territory and population, and the lower house acquiesced in this alteration. Kempt welcomed the measure as the best that could ever be obtained from the assembly, but this colonial initiative on a controversial issue again caused consternation in London. Some ministers urged disallowance of the act because the English-speaking inhabitants of the Eastern Townships, though given seats for the first time, would be grossly underrepresented in an assembly whose membership, increased from 50 to 84, was certain to contain a greater proportion of French Canadians. At a special meeting of the British cabinet, however, the act was grudgingly approved and in August 1829 Murray informed Kempt of this decision. By this time, if not before, Kempt had concluded that little useful guidance would be forthcoming from Britain to aid him in dealing with the Lower Canadian assembly. Many public dispatches remained unanswered and attempts to initiate private, confidential communications with Murray elicited only “a few hasty lines from the Under Secretary written apparently without the least knowledge of the subject on wh. he was treating!! 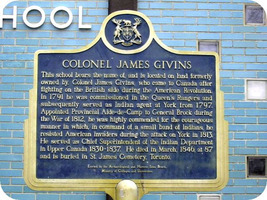 !,” Kempt confided to Dalhousie in August 1830. Meanwhile two parliamentary sessions had passed unproductively in Britain. Though a bill was introduced into the House of Commons in 1829 and again in 1830 to settle the financial dispute in the Canadas by surrendering to the two Canadian legislatures control over the revenues raised under the Quebec Revenue Act of 1774, in return for civil lists, the contents of the bill were wholly unknown to Kempt. Bereft of imperial aid or advice, he devoted his best endeavours to calming political passions as the assembly renewed in 1830 its violent attempts to secure judicial reform and elective councils [see Denis-Benjamin Viger]. “My Legislative Bodies are composed of such inflammable materials,” the harassed governor declared in March, “that I feel myself seated on a Barrel of Gunpowder not knowing from one moment to another how soon an explosion may take place.” He tried to act as a mediator, pursuing an independent course and keeping his temper. 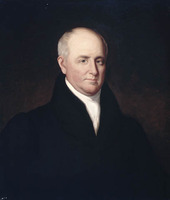 “My great object,” he told Dalhousie, “has been to carry on the Government if possible without a reaction of any kind, and this I have in some degree accomplished.” Anxious to escape from his uncomfortable thraldom, he reminded the colonial secretary in July of his desire to return to England that autumn at the latest. Murray attempted to dissuade him from resigning the governorship by appealing to his own interests as well as those of the public service. But having been a colonial administrator for more than ten years, and having passed almost the whole of his professional life overseas, Kempt asserted that “I have arrived at a time of life, when I am quite capable of judging what is best for my personal interests.” No man, he believed, “ever relinquished an Office of £8,000 a year with greater satisfaction than I shall do.” His release was granted and on 20 Oct. 1830 he handed over the government to Lord Aylmer [Whitworth-Aylmer*] . Well might Kempt have been satisfied with his term in office. He had managed the almost impossible feat of preserving a degree of harmony and good feeling in Lower Canada for two years. 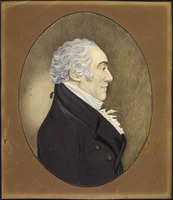 Although British ministers might grumble about his regrettable departures on several occasions from the letter of his instructions, he acquired the reputation of being the one governor who had handled Canadian affairs with a measure of success. This singular achievement can be attributed in part to qualities of character and personality and in part to a deliberately non-partisan approach to provincial politics. Though a dour Scot with at times a brusque, abrasive manner, he displayed sufficient tact and soundness of judgement to win a sympathetic respect from colonists of diverse interests and persuasions. Moreover, his lack of definitive instructions was far from a disadvantage, for it afforded him a latitude of discretion which he employed to good effect. Kempt was also exceptionally lucky. He profited from the salutary effects in Lower Canada of the Canada committee’s report, just as he benefited from the inevitably favourable contrast with his luckless predecessor. Perhaps these fortuitous circumstances distorted his achievement. 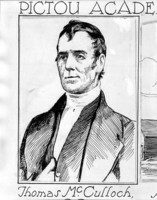 When Kempt was again suggested as a candidate for governor of the Canadas in August 1837, Lord Howick, then secretary at war in Lord Melbourne’s cabinet, remarked, “I have always thought him a man with a higher reputation than he deserves acquired I believe in a great measure for his having had the good fortune to leave Canada at the right moment & to have had both for his predecessor & successor persons who made him shine by comparison.” There is some truth in this assessment. Certainly the “era of good feelings” which he and prevaricating Tory ministers conspired to produce in Lower Canada between 1828 and 1830 did nothing to resolve underlying disputes. On the contrary, the barren interlude stored up accumulating trouble for their respective successors in the early 1830s. Kempt’s dealings with Upper Canada in his capacity as governor-in-chief of British North America were slight and he was content to leave matters there in the care of the lieutenant governor, Sir John Colborne*, with whom he had served in the Napoleonic Wars. 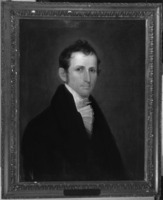 But his overall responsibility for defence and Indian affairs in both provinces led him to indulge an abiding enthusiasm for road building by constructing a military road from York (Toronto) to Penetanguishene and to work with Colborne in remodelling the structure and policy of the Indian Department, most notably by creating in 1830 a separate department for Upper Canada and transferring its supervision from the military to civil authorities [see James Givins*]. At a time when the British government was anxious to reduce its expenditure in the Canadas, Kempt argued that the costly practice of distributing presents and stores to Indian tribes in order to preserve their friendship could not yet be safely abandoned, but it might eventually be rendered unnecessary if the Indians could be encouraged to settle in villages. This move would promote their material welfare and long-term self-sufficiency as agricultural communities; it would also be the means of accomplishing their civilization through instruction in religion as well as in husbandry. Under the charge of a superintendent appointed for each district of the Indian Department, Kempt envisaged, the government would gather Indians together on cleared tracts of land and provide houses and initial supplies of agricultural implements and stock. He hoped to foster the activities of Anglican and British Wesleyan missionaries, who would also counteract the mischievous influence of American Methodists among the Indians [see William Case]. Like many well-meaning contemporaries, Kempt believed that raising the Indians in the scale of civilization depended on permanent settlement and industrious labour, an assimilationist policy easier to espouse than to put into practice. 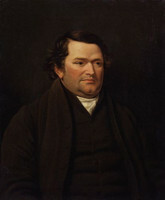 After his term in British North America, Kempt returned to England and became involved in domestic politics and military administration almost at once, following the advent of the Whigs to office in November 1830. They had great difficulty finding an experienced military man willing to become master general of the Board of Ordnance because most senior officers were Tories. Kempt accepted the post, with a seat on the Privy Council, on condition that he would not be required to enter the House of Commons or have anything to do with party politics. He thus became responsible for supervising the multifarious duties of the board: supplying the troops at home and overseas with arms and manufactured articles, erecting and maintaining military works and buildings, and administering the corps of artillery and engineers. In his capacity as master general he served on the royal commission appointed in 1834 to investigate the question of military punishments, which two years later produced a moderate defence of flogging in the army but recommended a wide range of salutary reforms in the conditions of army service. More controversially, Kempt was a member of a royal commission set up in 1833 to examine the civil administration of the army. The following year its chairman, the Duke of Richmond, drafted a report which recommended a consolidation of the various civil departments involved in army affairs into an army board headed by a cabinet minister, and also a merging of the corps of artillery and engineers with the regular army. Because Kempt was known to be opposed to any change in the powers or status of the Ordnance department, he was not consulted about the draft report and he protested vigorously to Prime Minister Earl Grey. 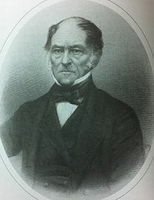 In 1835, when Lord John Russell criticized the decisive objections to administrative reform voiced by military men, he remarked that Kempt “was our great stumbling block before,” though virtually all senior officers implacably opposed such a reorganization. 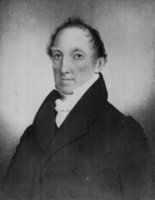 Kempt resigned as master general when the Whigs went out of office in December 1834 and he began a belated retirement from public life. His name was canvassed by Lord Aberdeen, the Tory colonial secretary in 1835, as one of the commissioners to be sent to the Canadas on a fact-finding mission. On the eve of the rebellion of 1837–38, when Whig ministers were discussing candidates to replace Lord Gosford [Acheson*] as governor, Kempt was again mentioned, though he would then have been more than 70 years of age. Thereafter he faded from the public scene. NLS, Dept. of mss, Adv. mss 46.8.8–15; ms 15029. PAC, MG 24, A52 (copies); B1, 6, 14–15; B16. PANS, RG 1, 63–66; 113–113 1/2. PRO, CO 42/217–30; 43/27–28; 217/138–48; 218/29–30 (mfm. at PAC); PROB 11/2204: 392–93. SRO, GD45/3. Univ. of Durham, Dept. of Palaeography and Diplomatic (Durham, Eng. ), Earl Grey papers. Christie, Hist. of L.C. (1848–55), vols.3, 6. Doc. hist. of campaign upon Niagara frontier (Cruikshank), 1: 175. Gentleman’s Magazine, January–June 1855: 188–89. G.B., Parl., Command paper, 1836, 22, [no.59]: 1–556, Report from his majesty’s commissioners for inquiring into the system of military punishments in the army; 1837, 34, pt.i, [no.78]: 1–200, Report of the commissioners appointed to inquire into the practicability and expediency of consolidating the different departments connected with the civil administration of the army. L.C., House of Assembly, Journals, 1828–30. N.S., House of Assembly, Journal and proc., 1820–28. L.-J. 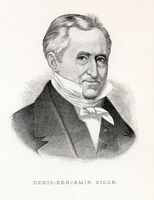 Papineau, “Correspondance de Louis-Joseph Papineau (1820–1839),” Fernand Ouellet, édit., ANQ Rapport, 1953–55. Select British docs. of War of 1812 (Wood), 1: 269; 3: 229, 344, 346. Times (London), 22 Dec. 1854. Boase, Modern English biog., 2: 190–91. DNB. G.B., WO, Army list, 1783–1854. 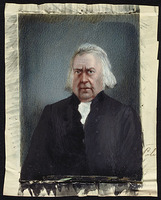 Morgan, Sketches of celebrated Canadians, 266–68. Wallace, Macmillan dict. 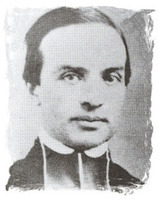 Elizabeth Graham, Medicine man to missionary: missionaries as agents of change among the Indians of southern Ontario, 1784–1867 (Toronto, 1975), 23–24. MacNutt, Atlantic prov. George Raudzens, The British Ordnance Department and Canada’s canals, 1815–1855 (Waterloo, Ont., 1979). G. C. M. Smith, The life of John Colborne, Field-Marshall Lord Seaton . . . (London, 1903), 327. H. [G. W.] ith, The autobiography of Lieutenant-General Sir Harry Smith, baronet of Aliwal on the Sutlej, ed. G. C. M. Smith (2v., London, 1901), 1: 340–41; 2: 303, 396. Taft Manning, Revolt of French Canada. Peter Burroughs, “KEMPT, Sir JAMES,” in Dictionary of Canadian Biography, vol. 8, University of Toronto/Université Laval, 2003–, accessed April 20, 2019, http://www.biographi.ca/en/bio/kempt_james_8E.html.